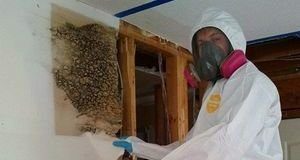 If you are dealing with water damage Syosset problems anytime of the year, 911 Restoration Long Island is standing by ready to help for whatever you need. Syosset usually sees a little over 40 inches of rainfall per year. In times of high rainfall, flooding and water damage to homes is a fairly common occurrence. Water damage to homes can be the result of natural occurrences such as flooding or storm damage, but can also be the result of other reasons such as plumbing issues. Plumbing issues that cause water damage can include things such as fire sprinklers, toilet overflow, a water heater leak, or a pipe burst. If any type of water damage occurs to your home, it is important to get professional water removal services. Our team can use the latest drying technology to prevent damage from spreading throughout your home. If the damage has resulted from a plumbing malfunction, turn the water line off to your home to keep the damage contained until our 911 Restoration professional arrives. You can take an active role in preventing water damage to your home by routine maintenance projects. Ensuring that gutters and downspouts are cleaned and properly draining helps water drain from the roof of the home to prevent damage. Inspecting problem areas for leaks throughout your home should also be a part of your routine, and checking to see that your sump pump is working properly is essential. 911 Restoration provides the very best water damage services in the Syosset area. If you come home to a water crisis, the first step is to figure out where the issue is coming from. Don’t hesitate to call our water damage Syosset team with 911 Restoration Long Island at the first sign of trouble in your home or business and we will get your life back to normal quickly today! 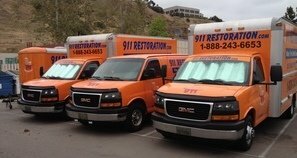 Water damage Syosset professionals like ours are fully equipped with years of experience in the restoration business and this is why we are the best restoration company in Syosset hands down. We can also claim the title of the best restoration company in Syosset because of our unparalleled dedication to customer satisfaction, because we always put the customer first in our operations. We have grown to truly appreciate the polygonal boundary and sprawling nature of the Syosset border. We value professionalism to an extreme degree. And our professionalism is one of the reasons we are licensed, insured and bonded for all situations under the sun. Our water damage Syosset experts know how hard these situations can be on people and that’s why we will be steadfastly regimented on every aspect of your restoration to give you peace of mind. And with that in mind, you should call our water damage Syosset pros with 911 Restoration Long Island immediately if you want the best in the business for your home water damage restoration work and services today!